The best reason why ordinary people should review a blood pressure chart after a visit to the doctor is to understand the numbers from a blood pressure reading. You see with HBP, there are no symptoms to indicate there’s a problem with the pressure of blood circulating around the body. That makes it hard to believe anything is wrong. Meanwhile, hypertension is left to run free destroying the body a bit at a time over the years. At a certain point, life can end or be changed because of a heart attack or stroke. There is no excuse for uncontrolled High BP because there are a lot of things a person can do to stop it. Looking at the blood pressure chart tells us where we fit on the chart and when it is times to change our bad habits for the better. So, how does a person go about accomplishing this? Check your BP three or four times during the day. Pick the common one to see if there is a problem. Untreated hypertension could lead to blood clots and then to mini stroke. One of the most common dangers is a TIA or mini-stroke. Radio and television advertisements have brought attention to this situation. A blood clot is usually the reason the supply of blood is momentarily stopped from reaching the brain. The good news is that this is a warning of a possible stroke in the future. Schedule an appointment with the doctor. A change in diet or daily exercise could reduce the danger. Untreated HBP turns up the pressure on your arteries. Too much pressure on the walls of the arteries makes them weak. Unable to handle the pressure any longer, a wall might form a bulge, or aneurysm, in any artery in your body. Pressure from the blood and weakened artery walls equal bursting and internal bleeding, along with possible death if it isn’t stopped in time. The aorta is the largest artery humans have. It delivers oxygenated blood throughout the circulatory system, which keeps us alive. All artery walls can become stiff and thick with untreated High BP. This condition is commonly known as hardening of the arteries. It happens because cells that line the inside of the arteries are damaged. Instead of breaking fat globules down, the fat attaches to the walls and narrows the area where blood flows. Blocked arteries can also damage your eyes. Untreated hypertension plus clogged arteries can cause damage to the kidneys. Another organ that gets hammered by clogged arteries are the kidneys. The kidneys depend on blood vessels and arteries to filter blood. If it isn’t available, the accumulated waste and fluid can lead to kidney failure. Dialysis may become a regular part of your life as your name is added to the list of thousands waiting for a kidney transplant. Narrowing arteries could certainly reduce blood flow to the brain. Imagine having trouble remembering your name or clearly seeing your favourite sports team winning a game because you have dementia. It’s a brain disease affecting things like memory and vision. Two causes of dementia are a lowered blood supply to the brain because of narrowed or blocked arteries and strokes, caused when the flow of blood to the brain is interrupted. 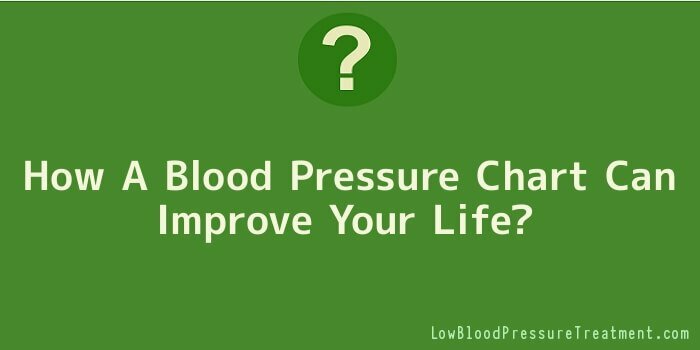 All of the above situations are related to uncontrolled high blood pressure. Keeping a record of your blood pressure numbers alerts you to sudden change. A simple review of the BP Chart could result in visiting your doctor for necessary changes to improve your life. Click here to see where you stand on the BP chart. Don’t forget your free report. Plus your once a week newsletter covering different subjects such as blood pressure monitors, hypertension diets and exercises.